McLeodGaming - View topic - The two above users are fighting, who would you side with? The two above users are fighting, who would you side with? Meteor85 because his pfp is expanding dongs. finallyfantastic7 cuz meteor's dong is gone. Sonario again, cuz we know why. Lermonz because his old profile photo is here. Bagrielmarmanjo cuz 2spooky4you changed the skeletons into something not nearly as spooky. 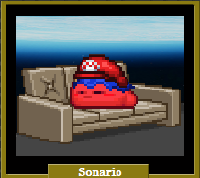 Sonario, because why the heck not.